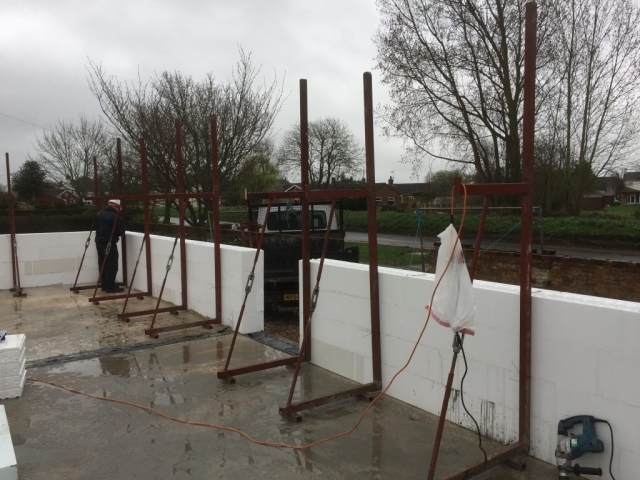 Project Description: New build Rhodipor Ecobuild ICF home, self-built within a flood zone. ICF delivery route: Training course on premises, and on-site supervision with continued assistance. 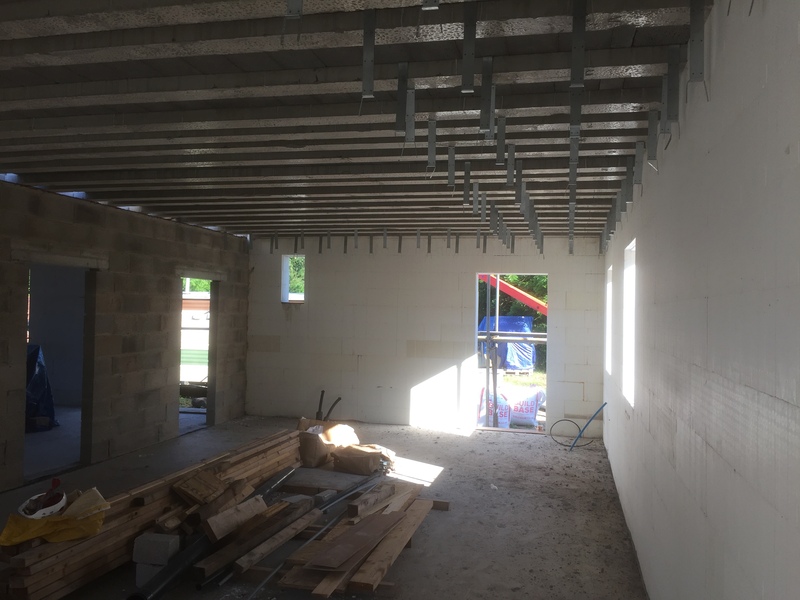 Floors: concrete beams with polystyrene infill to the ground floor, beam and block to the first floor. Finish: render applied directly to the Rhodipor Ecobuild ICF. 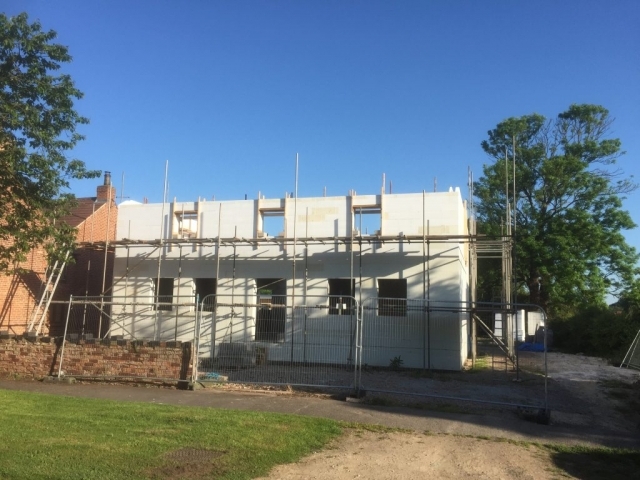 Roof: SIPs roof allowing for vaulted ceiling within the property. 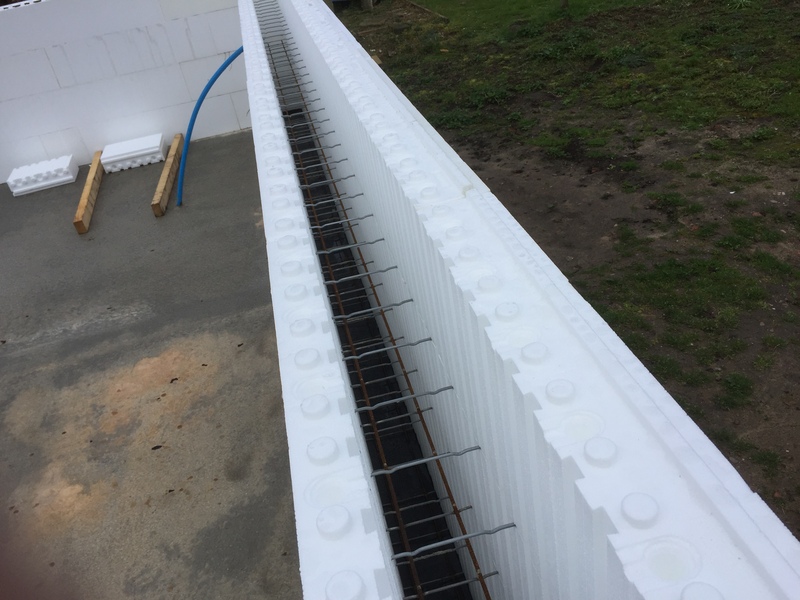 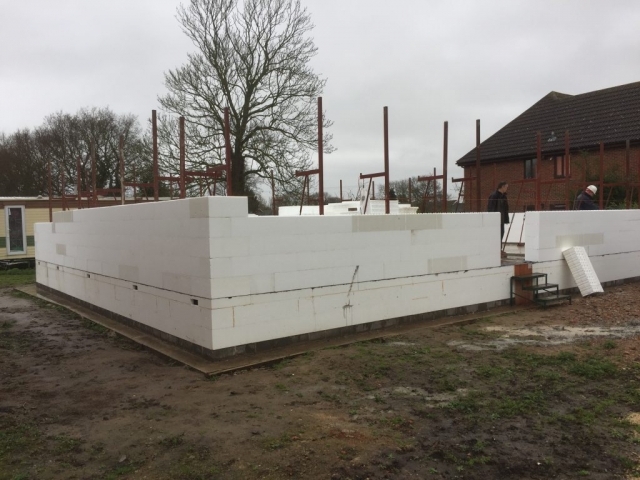 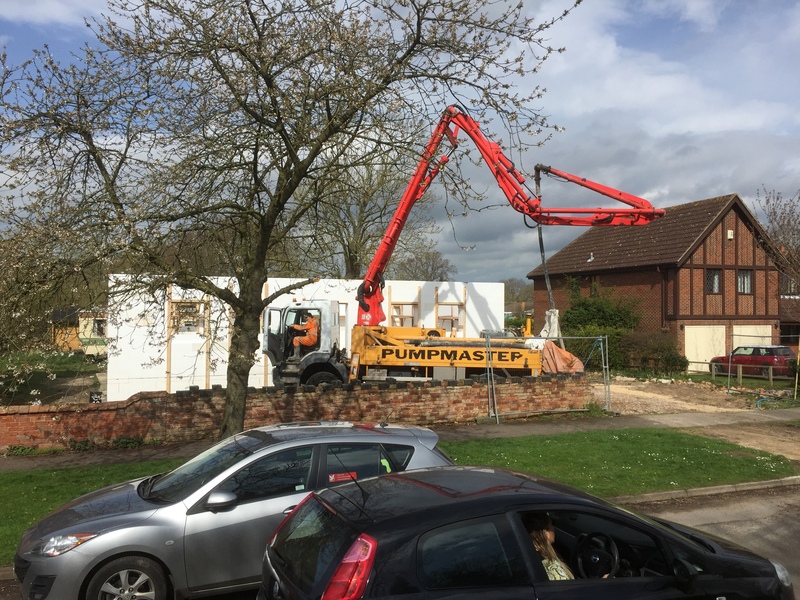 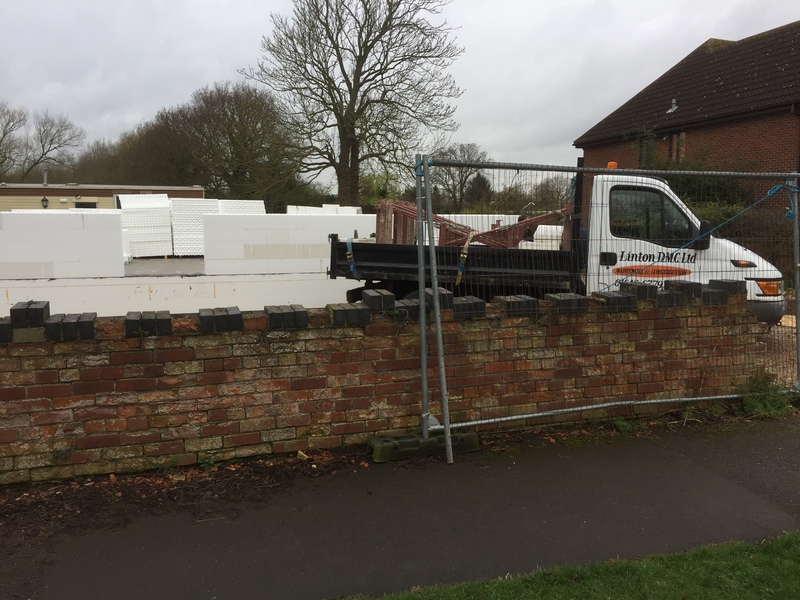 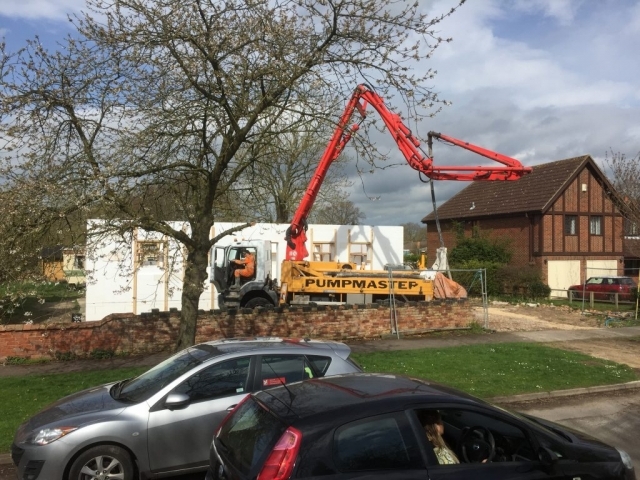 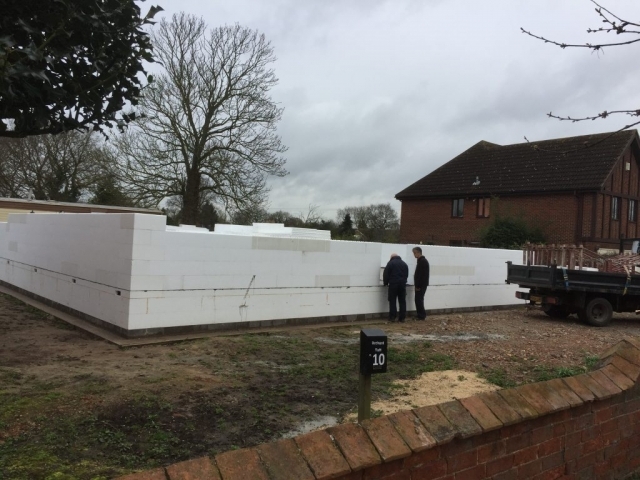 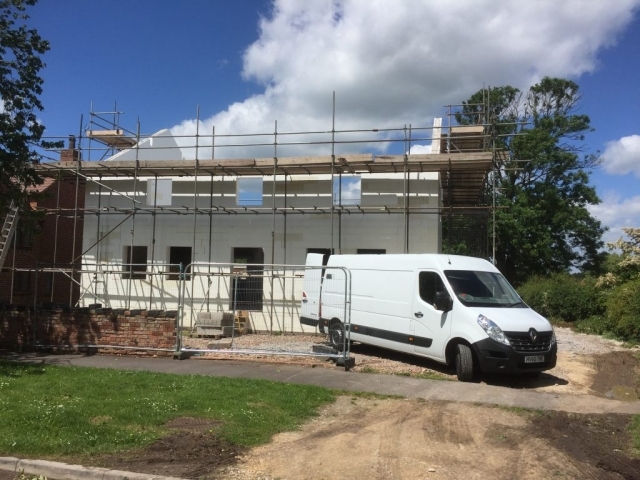 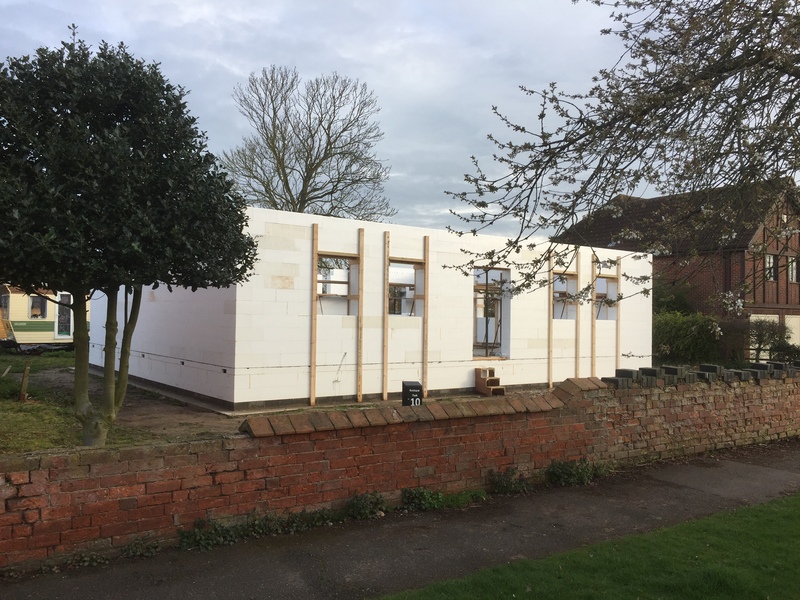 The scheme is situated within a flood zone and using the ICF forms to extend from the foundation level, helps to mitigate future issues to the building, where the risk of flood in this area is a high possibility.